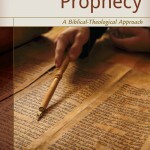 Understanding Prophecy by Bandy and Merkle takes the various sections of prophecy in Scripture and presents them in their literary and cultural contexts, providing a brief summary of the various views and interpretations that are available for each section. All in all, it is an excellent summary of how to understand and study biblical prophecy on your own, and I highly recommend it. Have you persecuted a prophet today? Do not be too quick to say No. Do you have someone you consider to be your enemy? Do you know of a group of people that are considered the enemies of Christianity? If so, do not seek to harm, discredit, or ignore them. 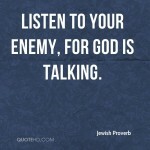 Instead, listen to what they have to say, for their words may in fact be the very voice of God to you and to me. 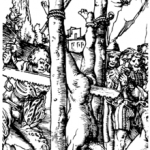 One reason the Bible is unique is because the Bible is the most violent religious text in the world. It is more violent than the Qu’ran. Why then did God choose to send Jesus to specifically fulfill the most violent religious writings of all time? So that He could do what only God can do: So that He could redeem it. Historically, December 25 was a day to celebrate the god Mithras and his connection with winter solstice. 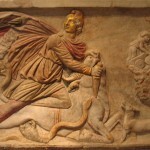 So did Christians steal Christmas from Mithras?